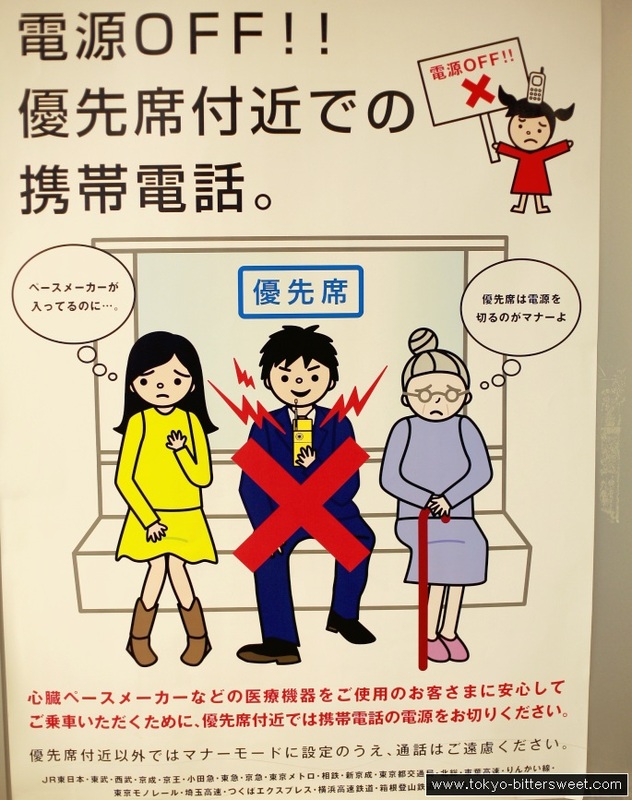 This poster warns the reader that he must turn off his cell phone when sitting at the “priority seats” (reserved for mothers, disabled persons and seniors). Apparently the electromagnetic waves emitted by the phone may be a problem for people with pacemakers, so switching off the device is suggested. Outside of this danger zone the mobile phone must be set into “manner mode” (silent), lest other passengers are not annoyed by it. I just love the Japanese warning sign aesthetics: the rude boy and the helpless, unhappy women, suffering under the red radiation of the mobile.